Annapolis, Maryland is an iconic, charming, thought-provoking destination, and with good reason—awesomeness tempts you from every angle. The Naval Academy (you don’t get it until you take the tour), America’s oldest state capitol in continuous legislative use (intimate, gorgeous, screams history), and the epic leisure-boat port vibe are just part of the appeal in America’s Sailing Capital. The collection of shops and restaurants/bars is a medley of colorful storefronts in a “Museum without Walls” that boasts more 18th-century brick buildings than any other place in the country. A few times I also had to ask myself, “Am I in Ireland?” But then I was caught up in the multiple City Dock tributes to Roots author Alex Hailey — until I was asked to take pictures of Japanese tourists wearing Shaquille O’Neal T-shirts. There’s a lot going on here. Did I mention food and drink? When was the last time you recited the Pledge of Allegiance? Every weekday morning at 8:30 a.m. and weekends at 9:30 a.m., our pledge is enthusiastically revived at Chick & Ruth’s Delly. This classic Main Street diner doubles as the pulpit for owner and would-be mayor Ted Levitt. Ted has been working here since he was nine and has built up a faithful following that never tires of his friendly conversation and tableside magic tricks. Handmade breads and pies made in-house daily, including carmel-walnut-apple…colossal six-pound milkshakes. Attention midshipmen: free delivery to US Naval Academy. 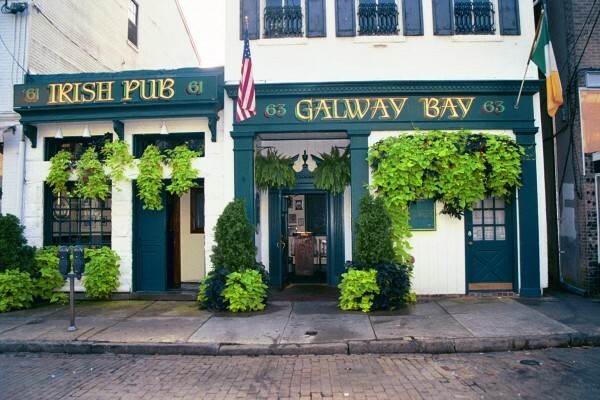 Tucked away amidst the antique shops and galleries of brick-lined Maryland Avenue, Galway Bay Irish Pub & Restaurant is a favorite with the locals. Its wide open Ireland meets crab-land (in the form of “Miss Peggy’s” crab cakes). Try the Killarney Cabbage Wraps inside this unpretentious, lively-but-not-boisterous landmark. 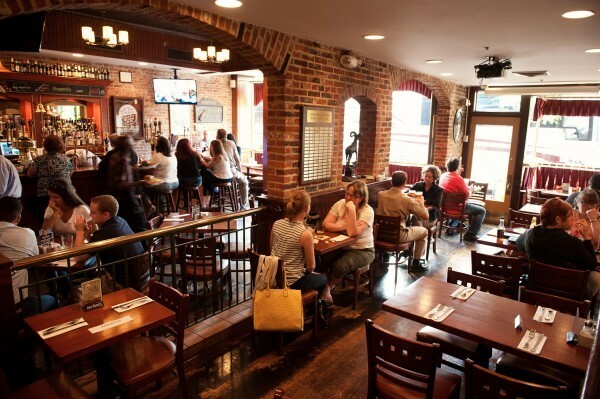 Whether you’re in the traditional Irish Pub (no TVs here) or the restaurant’s brick-walled dining room, expect a warm welcome from the regulars. Rams Head On Stage on West Street is a legendary music venue, and many a musician’s favorite. If intimate, under 500-person venues are your thing—this is it! I saw a local act, the Soul Serenaders, who took advantage of their reach-out-and-touch closeness to the audience. On any given evening, chances are you’ll catch some of your favorite performers here. 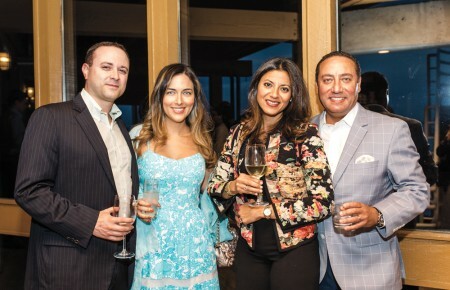 I’d been wondering when Western and Asian medicine were truly going to shake hands and reside under one roof…until stepping inside Ridgely Retreat. Literally, this holistic healing and yoga center (including aerial yoga) is parked above a doctor’s office (rheumatology)—a husband and wife team, no less. Their roster of massage therapists will not disappoint. A short walk across the Spa Creek Bridge takes you to the Maritime Republic of Eastport, Annapolis’ “naughty stepchild” and home to Restaurant Row. Here you’ll find Carrol’s Creek Waterfront Restaurant, a classic, salty dining establishment. Period. Thirty years down the road, the Lobster and Black Truffle Pot Pie still wows all who partake. Ask them to pair one of their craft beers with the Almond Encrusted Mahi Mahi. In the know diners snag seats on the restaurant’s outside deck to watch some 130 crews compete in the Wednesday Night Sailboat Races from April to September. 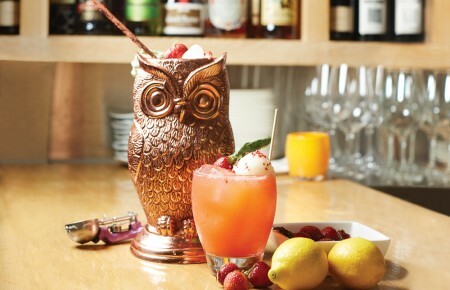 Just across the street at the Boatyard Bar & Grill, you’ll begin to fathom the Annapolis pronunciation of relax. Nautical noshes include crab soups, gumbo, and lobster rolls. The popular watering hole is also home to Maryland’s official dessert, Smith Island Cake. Ranked among the top waterfront bars in the world by Sail magazine, the ultimate yachting bar is a meeting ground for all lovers of the Chesapeake Bay. Can you say ultimate brunch joint? I can: Miss Shirley’s Cafe. Enormous portions of pancakes infused (overnight) with orange zest, stone-ground oats, and their Beef Aldoso omelette are all players on what must be the east coast’s most tempting brunch menu. Miss Shirley’s Born on the Bay-O Bloody Mary can turn any morning into a Saturday night. The big booths don’t restrict socializing. Nobody ever told me the U.S. Naval Academy grounds resemble a mind-boggling Ivy League campus. A tour of “the Yard” was an American history lesson that left me begging for more. Alums include football legend Roger Staubach, President Jimmy Carter and Senator John McCain (you’ll hear a few tales about many famous alumni). The French Beaux-Arts architecture, mingled with a proud backstory, provide a step back in time and an understanding that tradition is alive and well here. 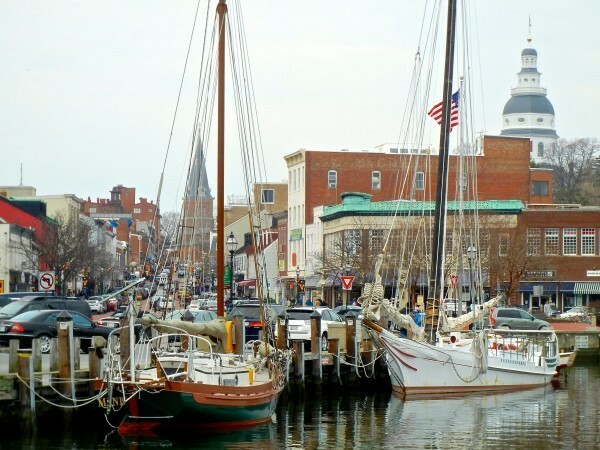 Annapolis is the gateway to North America’s largest estuary, the Chesapeake Bay. Annapolis Harbor, two hour cruises aboard a 74’ wooden schooner, stand-up paddle boarding and kayaking. A Discover Annapolis Trolley tour and a Four Centuries Walking Tour provide excellent introductions to the city. 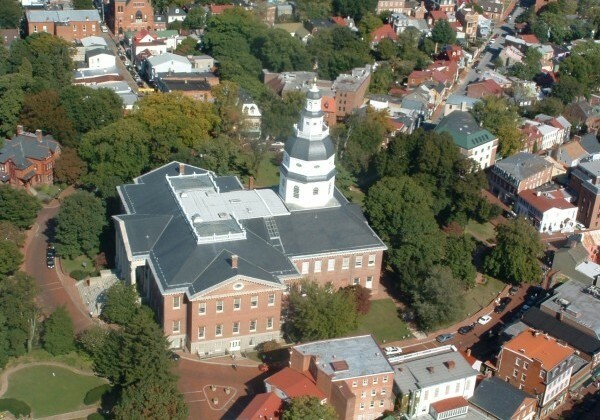 Annapolis was our nations’ first peace-time capital from November 1783 to August 1784. The Maryland State House is the only state capitol to also serve as our nation’s Capitol. George Washington resigned his commission as commander in chief of the Continental Army in the Maryland State House. The Treaty of Paris was ratified in the Old Senate Chamber, ending the Revolutionary War. Maryland’s four signers of the Declaration of Independence had homes in Annapolis. Their homes still stand today, and three of them are open to the public. In the last few months alone, Annapolis has snagged some impressive titles: National Historic Treasure, one of America’s Best College Towns, one of America’s Most Romantic Towns, One of the nation’s Best Towns for the Holidays, and one of the Most Romantic Main Streets in the country. * For information about events, attractions, activities and more, check out Visit Annapolis. 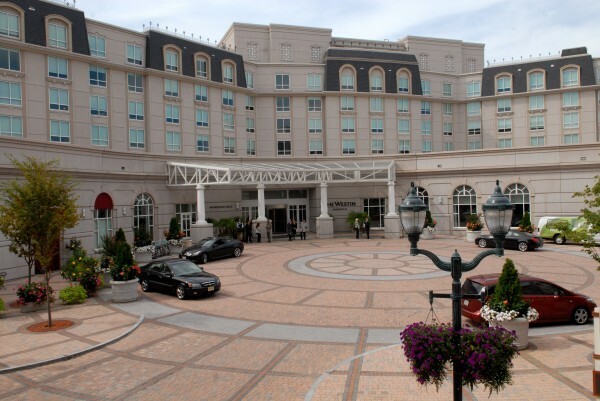 The sleek Westin Annapolis Hotel on West Street in downtown Annapolis is just one mile from City Dock, a place to see and be seen. As you stroll along the brick-lined streets of Annapolis’ Historic District en route to the Annapolis Harbor (aka Ego Alley), check out the architecture, the art galleries, the homemade ice cream – and more. If you prefer, catch the City Circulator trolley beside the Westin to hit all of the aforementioned attractions. Car-free excursions to Annapolis are absolutely doable, take Amtrak to BWI Thurgood Marshall’s Airport station, then take The Airport Shuttle.